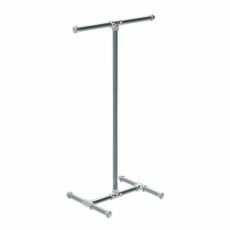 Introducing our new Italian 'Bronx clothes rails' ideal for fashion displays. 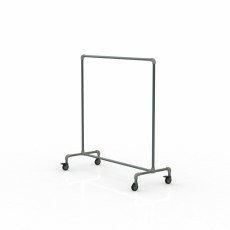 These urban clothing rails are the perfect storage solution for a variety of commercial settings. With their simplistic, elegant design they highlight your items instead of detracting. 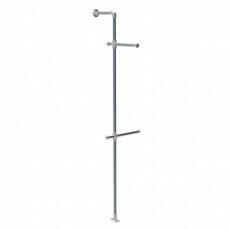 Our heavy-duty Bronx rails will ensure that your space remains tidy and coordinated. Retail environments experience their fair share of change. 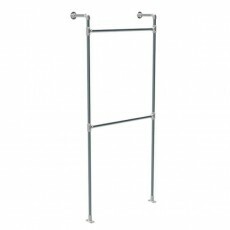 You will never have to worry about hanging heavier items, these rails will perform just as well as they do with lighter, delicate clothing. 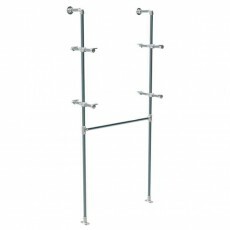 If you are drawing up the blueprints for your floor plan then factor in our scaffolding clothes rails. 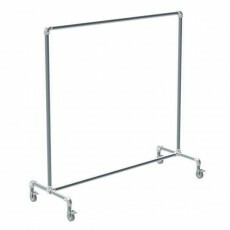 We stock a mixture of portable and permanent clothing rails that you can choose from. Our adjustable wall-mounted rails can save your floor space if the area you are working with is on the smaller side. Alternatively, see our portable Bronx rail that can be transported with next to no effort!